A “Company HQ” is a place for your whole company. 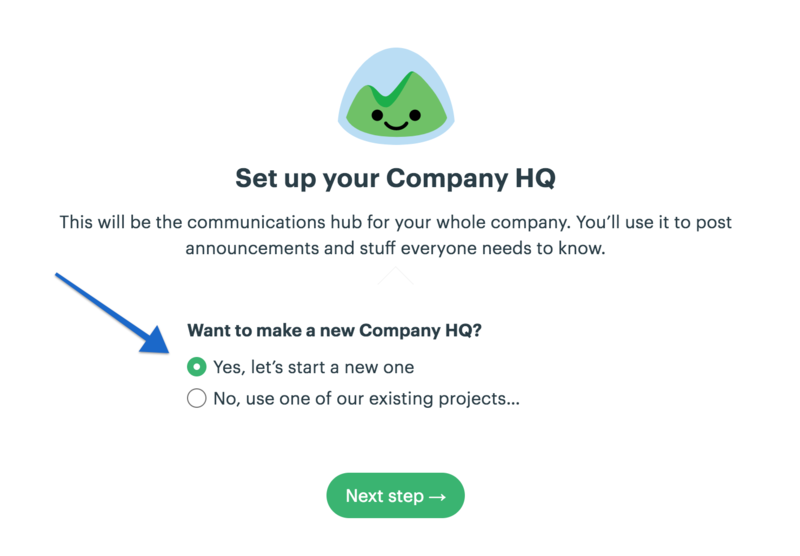 Invite everyone to your HQ, and you’ll have a single reliable place to post company-wide announcements everyone should know about, chat socially around the Campfire, and post key documents like benefits packages, health insurance information, and other stuff everyone needs. Then you'll have the option to start a new HQ from scratch, or reuse an existing project as your HQ. We recommend keeping these on — they'll help you keep up with everyone at your company. Once your HQ is set up, you're ready to invite people from your company. Just hit the big "Invite" button at the top, and type in the names / emails of people who should have access to the HQ.